88 Cities Summit - Event Recap | Propel L.A. 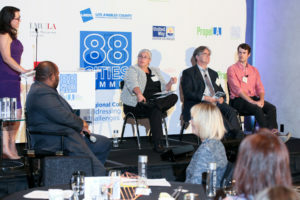 Propel L.A. launched its inaugural 88 Cities Summit event last week, and it was a great success! The Summit was held on August 2, 2018 at the W Hotel Hollywood. Despite the surprise film shoot shutting down streets with fire trucks, ambulances, and an extensive crew of extras, the “show went on” without a hitch, to a sold-out crowd of over 160 city leaders, economic developers, educators, and community stakeholders. 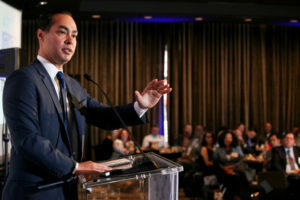 Julian Castro delivered the keynote address to the audience of community leaders and economic developers. 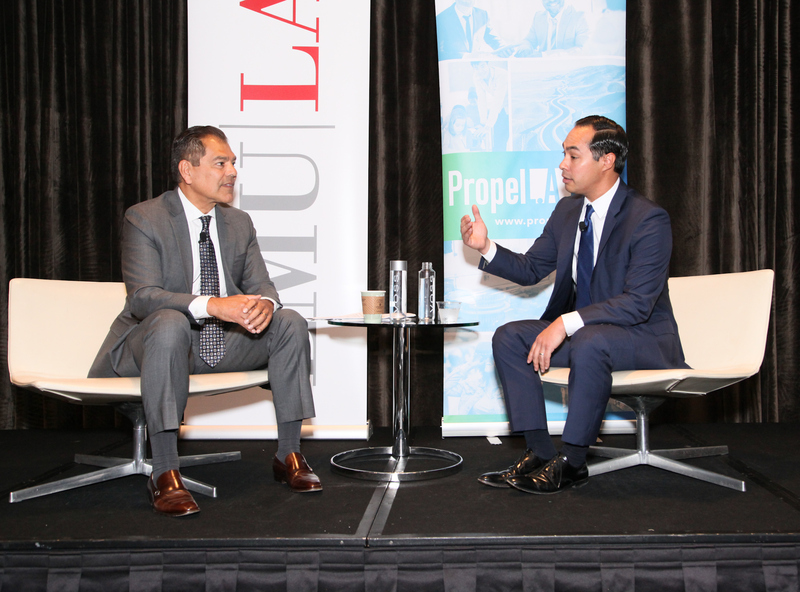 Julián Castro, former Secretary of Housing and Urban Development and former Mayor of San Antonio, joined us as keynote speaker, and provided an inspirational and vision-filled speech. 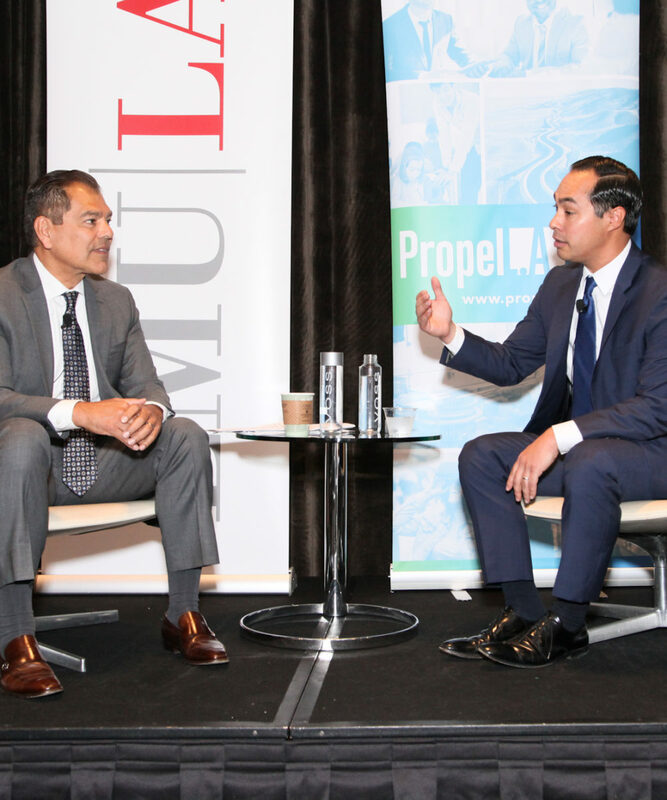 He discussed how economic development demands regionalism, and that sometimes, the larger cities need to take a backseat to let the smaller cities step-up and shine. With his national and regional perspective, he challenged attendees to be involved on a local level – exhorting that lasting, community change is done at the local, city level. His keynote was followed by two energized and informative sessions led by United Way of Greater Los Angeles and BizFed Institute. United Way presented the #EveryoneIn campaign, and its marked success since its launch in March of this year. Tommy Newman, of United Way, spoke about the initiative’s goals to activate, engage, and educate communities on the plight and true face of homelessness. He also discussed the program’s engagement strategy of: 1) Community Pop-Ups; 2) Storytelling Nights; 3) Housing Tours; and 4) the Annual Homewalk. They’ve dropped the “Permanent” from Supportive Housing – to streamline the explanation of housing development for the homeless and remove stigmas. They also highlighted the work of the cities of Whittier and Burbank, with an engaging “pop-up speaker” format. BizFed Institute panel, discussing affordable housing, CEQA, and the business environment. The day ended on a high-note, with Dr. Fernando Guerra of Loyola Marymount University and the Thomas and Dorothy Leavey Center for the Study of Los Angeles sharing highlights of a “Leaders Survey” given earlier in the day to a smaller group of mayors, other elected officials, and business executives. Dr. Fernando Guerra delivers results from Leaders Survey. 100% of the survey respondents believe that residents cannot afford to buy a home in their city. A majority (67%) believe that homelessness will increase in 2019. 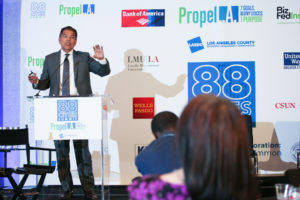 The Propel L.A. team looks forward to next year’s 88 Cities Summit where we will continue to bring together city leaders and community stakeholders, to discuss important issues to propel economic growth and equity throughout our region. Thank you to all who joined us for our inaugural event! See all the event photos on Flickr.